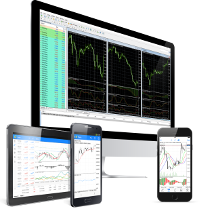 NSFX’s Trading Platforms give traders the advantage they need to excel/profit in Forex Markets – anywhere, anytime. Trade quickly, securely and confidently via the Web, mobile app or desktop. REGULATED BROKER: Regulated under the strict standards of the MFSA in Malta, NSFX Ltd. complies with the highest regulatory standards. PERPETUAL INNOVATION: NSFX Ltd. never stands still, continually innovating to make the trading experience seamless, intuitive and user-friendly. SECURED FUNDS: 100% segregation of client funds, negative balance protection and relationships with Tier 1 international banks. PURE ECN: NSFX offers Electronic Communication Network technology, which seeks to guarantee that traders always trade under the best trading conditions. 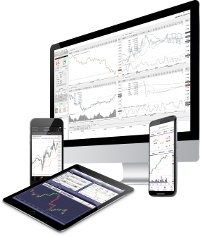 Experience the best online forex trading available with access to the ultimate Forex trading platforms. NSFX contributes to the Maltese Investor Compensation Scheme, which serves as a limited safety net for certain classes of investors in the event of a participant, such as NSFX, becoming insolvent. In such an event, qualifying investors will be eligible for compensation of 90% of their investment, subject to a maximum limit of €20,000. It should be noted that certain categories of clients are not eligible for compensation and these include collective investment schemes, investment firms, credit institutions etc. These clients are normally classified as Professional Clients or Eligible Counter-parties. NSFX is authorized and regulated by MFSA as a MiFID firm and holds a Category 3 Investment Services License (License No.:IS/56519). NSFX Ltd., at its own expense, provides clients with the benefit of Negative Balance Protection. Consequently, client account balances will never become negative. NSFX Ltd. offers the best trading conditions on peerless platforms for Forex, Commodities and Indices. The NSFX Academy has a number of practical and easy-to-understand resources to assist new traders quickly understand the ins and outs of the Forex Market. Academy resources are free, so register now and start to enjoy the benefits of trading Forex right now.